In response, Garton’s presentation invites several questions. Did Langley the philanthropist think that poverty was caused by idleness? Did Langley believe that ‘widespread unemployment was best tackled by a renewed emphasis on work tests to discourage pauperism’? What place did philanthropists, such as Langley, think that ‘industrial causes’ had in contributing to poverty? From his hands-on experience in the parishes of Berrima, Surry Hills and St Phillips, Langley did believe that some poverty was due to idleness which promoted dependence on charity. He was concerned not to encourage such an attitude and that testing willingness to work was required to determine worthy recipients of assistance. However, a reading of Langley’s article entitled ‘The Unemployed’ reveals that Garton has focused on only one aspect of the article and in doing so has perhaps unintentionally misrepresented Langley. Langley’s views cannot be summarised by the statement that the ‘widespread unemployment was best tackled by a renewed emphasis on work tests to discourage pauperism’. Langley’s focus in his article was far more restricted and less comprehensive than tackling the whole issue of ‘widespread unemployment’. He was simply arguing that there were in society two sorts of unemployed. There were those willing to work but unable to get a job and who had a ‘loathing from living on alms’. Then, there were those unemployed who did not want to work and avoided employment opportunities, but they were willing to exploit the generosity of the philanthropically inclined. To assist in dealing with the issue of unemployment, Langley was advocating the encouragement of those willing to work and the discouragement of developing among the unemployed an attitude and practice of dependence on charity known then as pauperism. He believed that such a dependant attitude was morally sapping and destructive of a person’s self-respect. This was not put forward by Langley as a total or the best approach to the problem of poverty but as one aspect of it. But help for working men should go further than providing them with food and shelter. Efforts should be made to obtain for them permanent employment. By means of a Labour Bureau, or in some other way, communication should be established between employers of labour and the unemployed. When a man has proved his ability, and his willingness to work, he ought to have every possible help to find employment; and until a permanent situation be found, he should be provided with temporary work and furnished with the necessaries of life. Langley not only advocated for such help for the unemployed. He also devised and implemented plans to provide this assistance by setting up a Church Labour Home, which gave shelter to the unemployed, gave temporary employment, provided an employment bureau to source jobs as well as developing a co-operative farm to provide work for the unemployed. the story of the good Samaritan applied to men and women in all time. They were a rebuke to any in the nineteenth century who professed and called themselves Christians, and yet failed to realise the character of their Master and the service He was seeking at their hands. I sometimes feel,” he said, and tears rose to his eyes as he spoke, “as if I could cut and run to some country parish, where poverty and trouble are unknown. They had in their midst men and women out of work. Was it not an anomaly that in a young country, with every industry languishing for want of labor, they should have men needing employment? He could not speak for other people and their experience; but for his own part he had abundant evidence of the want of employment. A very large portion of his time was taken up in dealing with cases, often heart rending, of people for whom he could practically do nothing, for the reason that there was no organisation in existence to supply their needs. As illustrating the quantity of labor available, he mentioned that in response to six advertisements which recently appeared in one of the daily papers there were no less than 212 applicants. Yet men told them there was no want of employment in Sydney. Personally he believed there was employment to be obtained for all respectable and deserving persons, but there was a need of some agency which would bring employers and employee together. … They could scarcely realise the full misery of a man out of work with wife and little ones dependent upon him going about to seek alms. All we have to do is to find employment for them, and if that can’t be done for all – well, then, we must train them into something else …Take a clerk, a man who can figure and write a good hand, but who has never done anything else; is not fit for it, in fact because he has a knowledge of one thing. He comes to me for work. I can’t give it to him, because the market is glutted. But if he really wants employment it is possible to teach him something else at which he can at once get an engagement. Langley supported the formation and acceptance of trade unions which were part of B R Wise’s solution to poverty. Addressing a meeting of clergy in 1890, Langley demonstrated his support of trade unionism by saying that ‘he thought employers ought to recognise the right of labour to join any union that was not illegal.’ Furthermore, in 1894, he gave his support to Wharf Laborers in their recruitment of members for their union and permitted them to hold a union meeting in the St Phillips School Room. He addressed their meeting and ‘gave the officers to understand that his sympathies were with the men, and that they could command him in whatever way they saw fit’. Langley thought there was an ever-widening breach between wage earners and the Church. 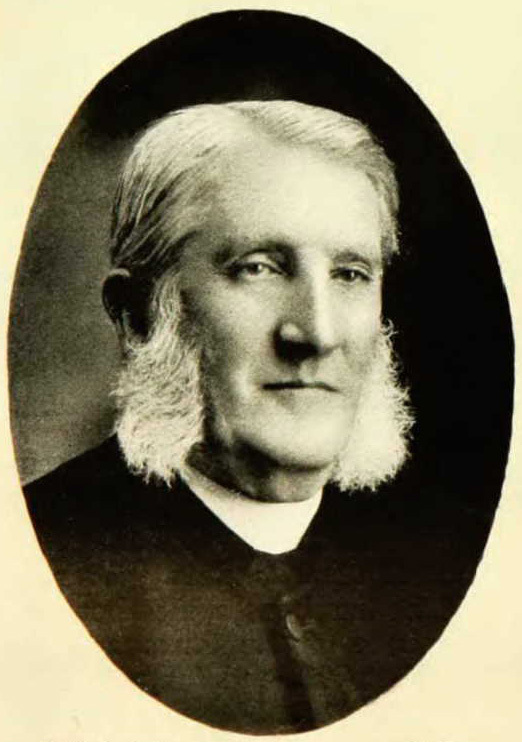 In 1918, and in his role as bishop of Bendigo, Langley advocated for the study of trade unionism so that clergy might intelligently understand its principles. J D Langley’s attitudes to unemployment and the resultant poverty do not fit the characterisation that Garton makes of him as a representative philanthropist. I doubt that this characterisation fitted the mindset of many of the nineteenth-century philanthropists who were employers. While they were often keen, as was Langley, to promote the importance of moral self-discipline, it was not seen as the total solution to a problem that was caused by factors far more complex than moral failure and idleness. Stephen Garton, Out of Luck, Poor Australians and Social Welfare, 1788-1988 (Sydney: Allen and Unwin, 1990), x.
 Stephen Garton, Out of Luck, Poor Australians and Social Welfare, 1788-1988, 62. J D Langley, The Unemployed, Sydney Quarterly Magazine 1891, September, np. The Daily Telegraph (Sydney, NSW), January 26, 1891, 4. The Daily Telegraph (Sydney, NSW), January 12, 1891, 5. Clarence and Richmond Examiner (Grafton, NSW), September 16, 1890, 4. The Australian Star (Sydney, NSW), November 6, 1894, 2. The Herald (Melbourne, Vic. ), May 28, 1918, 12. By phinaucohi in Philanthropy on June 18, 2018 .